International Event Rider for GB, competed at Badminton. International Event Rider for GB, competed at Badminton and a member of the World Class Potential Squad. Individual and Team European Gold Medalist at the Young Rider European Eventing Champs 2008 & 2009 and member of the World Class Potential Squad. International Modelling Star and Celebrity. Individual Gold and Team Gold winner at the Junior European Eventing Championships 2008 and member of the World Class Start Squad. Andrew is a UKCC Level 3 Coach. 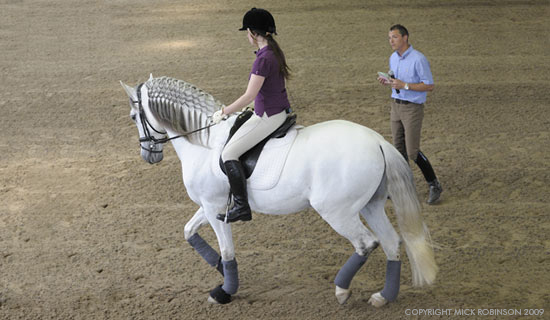 He has terrific technical knowledge and experience and can offer training from Prelim to Grand Prix. Andrew aims to make dressage fun and interesting for riders of all levels, inspiring those he teaches with confidence and a sense of personal achievement whatever their goals. Andrew’s successes include both National and Regional titles at levels from Novice to Grand Prix and he has competed at both the Summer and Winter National Championships every year since 1996. He has also competed Internationally both as a Young Rider and as a Senior Rider on six different horses. Andrew offers private lessons for 30 minutes and semi-private lessons for 45 minutes where two people of a similar standard can share. People can come to Andrew’s yard for lessons or to one of the many established clinic venues he goes to around the South East of England.